I love everything about today’s find, Public Bikes of San Francisco. 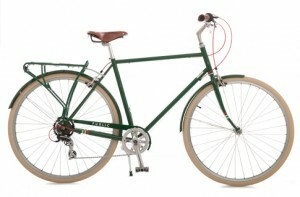 Not only do they make wonderful classic-looking bikes designed for city riding, they have a great collection of gear and bicycle-themed product for bike lovers like me. On the high-end I adore the Brooks Brick Lane Roll-Up Pannier ($240.00): “This unique roll-up pannier was inspired by a classic commuter bag design that dates from the 1890s. Made entirely of water-resistant cotton and trimmed in leather, this roomy bag rolls up to save space when not in use. Incredibly durable and highly intelligent, the bag features self-closing magnetized flaps and crossed elastic cords on top that let you strap bulkier items down for easy urban transport. See all the great bikes PUBLIC offers here. See all the great gear PUBLIC offers here. Mix Christmas and Hanukkah with Tree Tops from the Curiosity Shoppe. A new wardrobe from Faconnable. Support Panthera.org and help save the world’s wild cats. Thanksgiving may be long over now, but I love turkey legs. One of the great joys of a visit to Disney World, especially Frontierland, is the ability to buy a turkey leg from a street vendor. 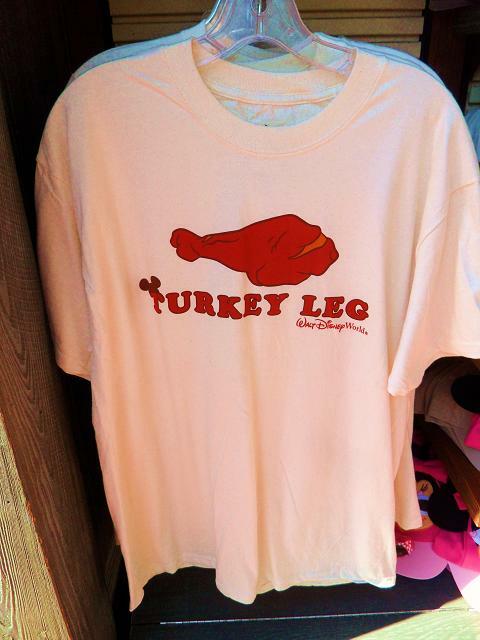 The turkey leg is such a “thing” at Disney World you can purchase a t-shirt to show your ultimate appreciation. People often lump Vermont and New Hampshire together. This is understandable as they are about the same size and shape and share a long border. But as a New Hampshire native, it has always fascinated me how different the two states actually are. Much of this is geology. Despite being side by side the states are divided mostly by the Connecticut River with surprisingly few bridges cross over. Add the Green Mountains and the White Mountains and a bunch of other mountains running up and down the terrain of both states, it makes it a challenge to get from much of New Hampshire to much of Vermont. I can go on and on about this – as in the interstate highway system in New England is designed with Boston as its hub which makes it virtually impossible to travel from say Burlington, VT to Portland, ME with any ease. But I digress. 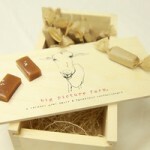 This is all to say that I wish I could get to Vermont more often, as there are some really cool things happening over there – like at Big Picture Farm where they have created “a Vermont goat dairy and farmstead confectionary.” Which basically means they make yummy caramels with milk from their herd of goats. I love the whole idea of what the folks behind Big Picture Farm are doing – and I enjoyed reading their story on their website – definitely an enterprise worth supporting and promoting. Visit Big Picture Farm’s online store here. The Christmas craft projects (creative ideas made easy) from Plaid Online. The James Bond Archives from Taschen. Support The Life Improvement Project sponsored by IKEA. Starting tomorrow, we will be launching our Fourth Annual 25 Days of Christmas. For 25 days leading up to Christmas Eve, we will feature a HOLIDAY FIND, a GIFT WE WANT, and a WAY TO GIVE BACK. Something special for the holidays – things like decorations, food, events and good cheer. Things we would love to see under the tree – including unlikely extravagances and modest stocking stuffers. A charitable organization or corporate partnership that will help you spread good will this holiday season. Let’s get the holiday season started! There was a time when the label “made in Japan” did not evoke the best of quality. However, pretty much these days, something made in Japan – especially something from traditional sources of well-made goods – is something one looks for. 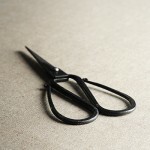 Like the Tajika Haruo Ironworks Scissors I found at Analogue Life. I love the Tajika Flower Shears from Tajika Haruo Ironworks available through Analogue Life. Analogue Life curates a wonderful line of Japanese home products and it a fun place to browse. Find the Tajika Flower Shears from Analogue Life here. See all the great products offered by Analogue Life here. Here’s another one of my finds that is best suited for the 1% and is only but a dream for someone like me – the Canvas Garden Wagon from JANUS et Cie. I can’t make any reasonable excuse for why I need something like this – as I have a perfectly functioning wheelbarrow and my garden consists of a dozen or so plastic containers on the back porch. But I love this wagon and I want one. The Canvas Garden Wagon is only one of the great things found at JANUS et Cie, they certainly know how to curate the best design furnishings found anywhere. Now I will go back to dreaming about the life I was mean to have. 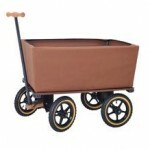 See the Canvas Garden Wagon and all the great items curated by JANUS et Cie here. 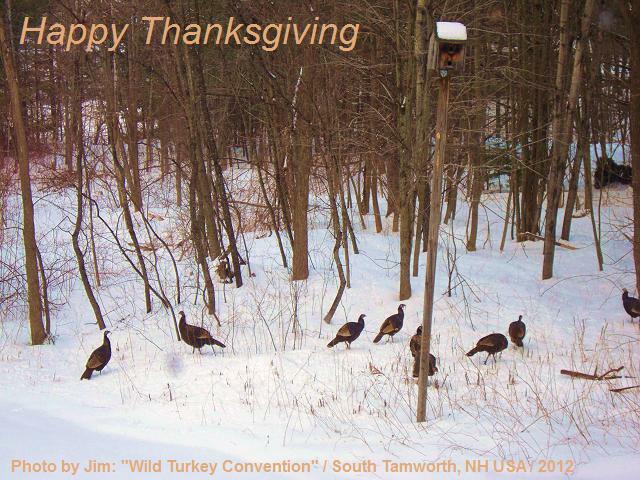 After serving some great locally produced food on Thanksgiving, I have been thinking a lot about the tradition of the feast and the renewed trend of eating fresh and local – which is something I totally embrace. I wish I could grow and raise all my own food, but yeah, that is not going to happen any time soon – you have seen my paltry yield from my garden, right? I also like the idea that people are also paying renewed attention to where their food comes from – the farms near and far that grow our food. 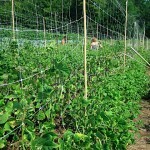 I have come across a couple of great resources for those of us who would like to spend more time visiting farms – as a vacation or to buy fresh produce: Farm Stay U.S. and FarmVisit.com. First is Farm Stay U.S., a site that allows you to find a farm where you can stay for a few days. Farm Stay U.S. provides lists of farms that accept visitors to stay and in some cases even participate in the daily chores. Meanwhile, the folks at FarmVisit.com have created an easy search engine to help you find farms near you where you may be able to visit and/or purchase fresh produce. Find your next farm vacation here – Farm Stay U.S.
Find a farm near you to visit here – FarmVist.com. Lost Cowboy is powered by	WordPress 5.0.4 and delivered to you in 1.042 seconds using 72 queries.